Conway, Ark. 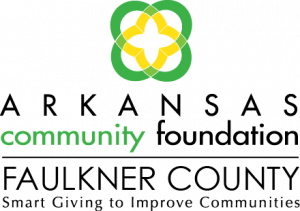 (July 25, 2018) – The Faulkner County affiliate of Arkansas Community Foundation today announced the appointment of Shelley Mehl as Executive Director and four new members to join the existing 20-member board. Mehl replaces Gloria Cheshier who recently retired. 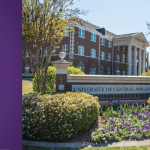 Mehl recently served as associate vice president for Outreach and Community Engagement at the University of Central Arkansas. She was also the first executive director for the Faulkner County affiliate serving from 2001-2003. New members who began their three-year terms on July 1 are Lesley Graybeal, Aaron Knight, Michelle Phillips and Lori Quinn. Lesley Graybeal is the Director of Service-Learning for UCA. Aaron Knight is the Chief Information Officer for the City of Conway. Michelle Phillips, CPA, owns Michelle M. Phillips, CPA, PA. Lori Quinn is a realtor with Coldwell Banker RPM Group and the owner of Faulkner Lifestyle Magazine. Returning board members are: Jerry Adams of Arkansas Arts Alliance; Jennifer Bell of Bell & Company; Amber Bobo of TRS Wellness; Joey Brown of Stephens, Inc.; Steve “Bo” Conner of Conner & Sartain; Susan DeBoard, Retired Hendrix Professor; Heather Edwards of Blue Cross Blue Shield; Charlotte Green of UCA; Don Greenland of Nabholz Construction Corporation; Eric Hutchinson of United Capital Financial Advisors; Joyce Miller, Retired Counseling Associates, Inc.; Frank Mitchell, Retired Superintendent Vilonia Schools; Charles Nabholz of Nabholz Construction Corporation; Shellie O’Quinn of City of Greenbrier; Bobby Riggs of Conway Regional PHO; Bill Roberts, Retired physician; Jeannie Stroth of IBM; Bill Tobias of the Tobey Team, Realtors; Charles Weaver of WEBCO, Inc.; and Jennifer Welter of CAPCA. 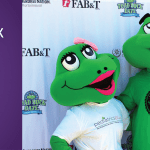 Faulkner County Community Foundation is an affiliate of Arkansas Community Foundation, a nonprofit organization that fosters smart giving to improve communities. 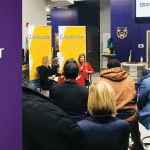 The Community Foundation offers tools to help Arkansans protect, grow and direct their charitable dollars as they learn more about community needs. 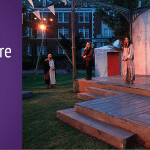 By making grants and sharing knowledge, the Community Foundation supports charitable programs that work for Arkansas and partners to create new initiatives that address the gaps. Opening their doors in 2001, the local office has returned over $3.12 million in grants to nonprofits. Statewide, the Community Foundation has provided more than $179 million in grants and partnered with thousands of Arkansans to help them improve our neighborhoods, our towns, and our entire state. Contributions to the Community Foundation, its funds and any of its 28 affiliates are fully tax deductible. For more information www.arcf.org.